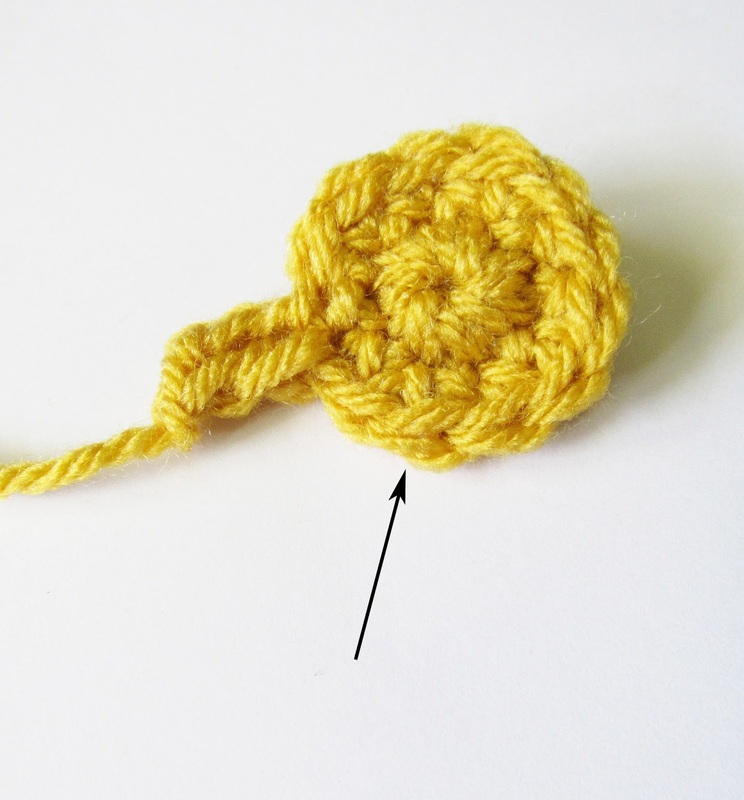 GET THE CROCHET SEAHORSE APPLIQUE ALONG WITH THE GRANNY SQUARE PATTERN IN AN AD-FREE PDF DOWNLOAD HERE. 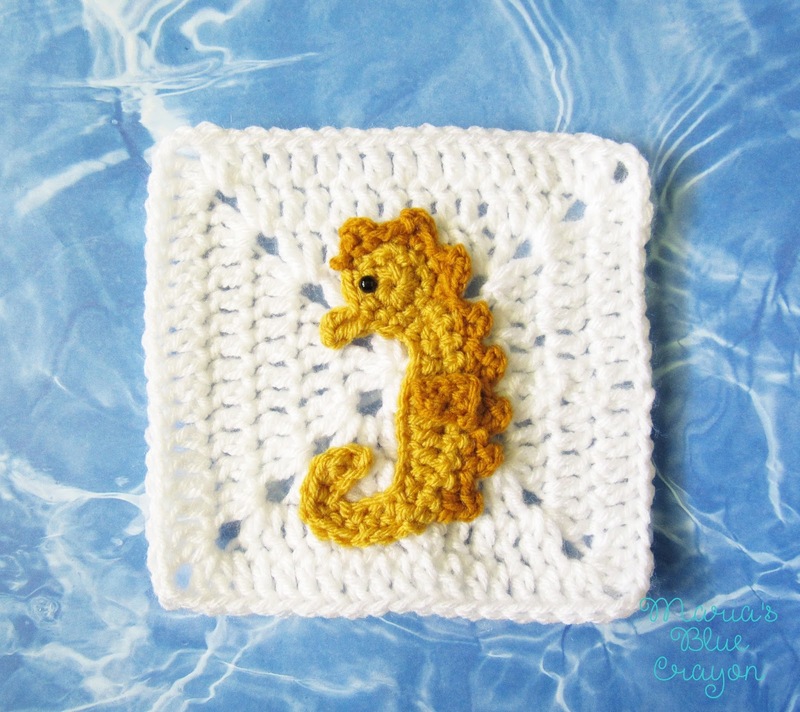 OR SCROLL DOWN FOR THE FREE SEAHORSE CROCHET PATTERN. The Seahorse is the 7th square of my Ocean Afghan. To find all the information about this Afghan click here. I’m so happy to share with you this little seahorse! Doesn’t he just remind you of a ray of sunshine? 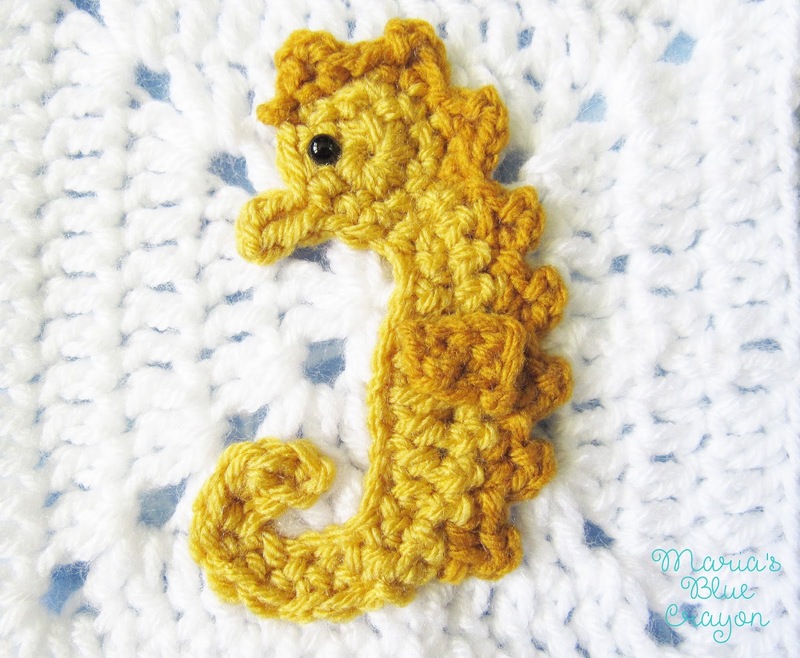 I chose to make him the typical yellow seahorse, but once I used a different shade for his outer edging and fin I immediately thought – how cute would this be if it were a yellow and pink seahorse? Or a blue and yellow one? I hope you guys get creative with the colors because I’d love to see the outcome! I can already see this afghan coming together as I’ve started to lay down some of the squares for arrangement. I’ve shared on Instagram and Facebook a sneak peek of what it will look like. It’s a sneak peek for me as well! All the colors are coming together so nicely and I’m motivated more than ever to keep these designs coming! Amazon Picks – affiliate links – I may earn a small commission when you purchase through these links at no extra cost to you. Thank you! Row 2: SC into next 10 stitches, slip stitch into next two stitches, fasten off. 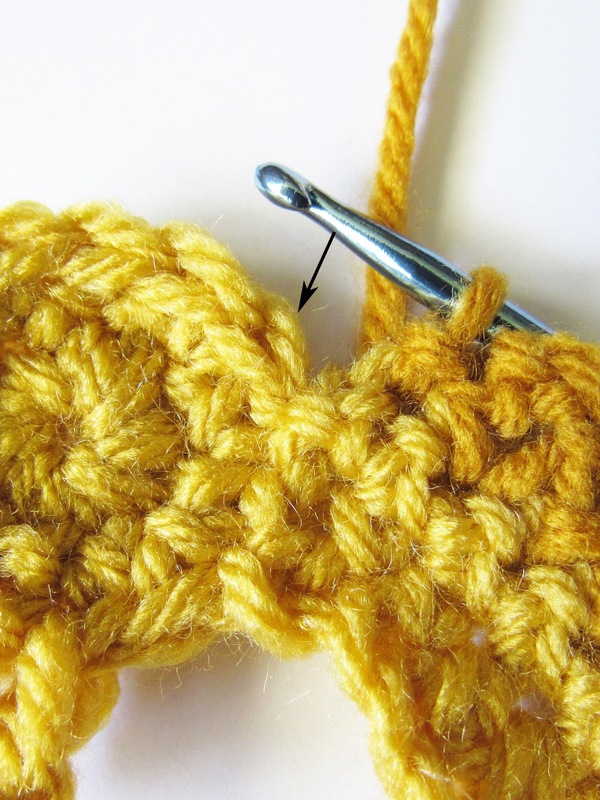 Chain 1, picot in same space, slip stitch, *picot in next space, slip stitch in next space, repeat from * all the way up the body and around the head until you get to the second stitch above the nose. 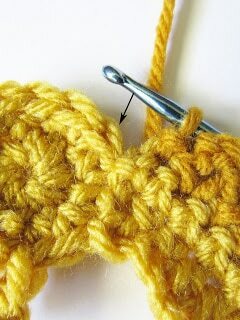 (See picture when going from body to head – do not add an extra stitch in between the body and the head) Fasten off. Attach safety eye or use black yarn to sew on eye. That little seahorse is just too cute! I bet your blanket is going to be amazing. I've a friend who is gaga about seahorses. Guess what she is getting for Xmas! I positively LOVE this square! 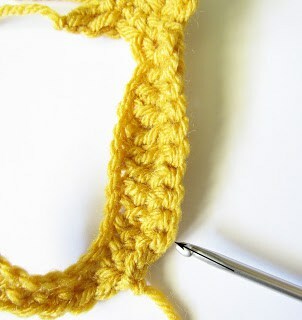 It will work wonderfully with the ocean afghan I want to make!! I love everything ocean!! !